Just in time for the summer heat, lemonade stands in Louisiana have the green light again thanks to the effort of a legislator to exempt kids from regulations on street vending. Municipal officials started ticketing kids for operating their lemonade stands without an occupational license and paying tax on their earnings. You’re probably thinking to yourself, why does a kid need a license to sell homemade lemonade? And even if there was a reason, how could an underage young person qualify for a license because of age restrictions. It’s nonsensical and outlandish. So, one Louisiana solon, a Democrat, introduced a bill to exempt youngsters from such onerous regulations. The bill exempts minors from the occupational license requirement by clarifying that minors who earn less than $500 in annual sales don’t qualify as a business. The measure was approved unanimously by the legislature and sailed to the governor’s desk for signature. "When I saw the story I couldn't believe it," said Smith, who said he couldn't remember where the ticket was issued. "Why would you ticket a child for an activity that promotes entrepreneurship and a work ethic." When the Senate passed the bill earlier the story was picked up by media outlets throughout the country. "I was surprised, but I guess there was such interest in it because lemonade stands are such an entrenched symbol of early entrepreneurship in America," Smith said. Smith's bill met no resistance in the House. It was presented there by Rep. Greg Miller, R-Norco. "We're just trying to make sure there isn't an undo regulatory burden on children who have lemonade stands," Miller said. Attempts to shut down lemonade stands are visible examples of the assault on small businesses and entrepreneurship in our nation. While we focus on regulations from the White House to state houses across the country, local regulators are wreaking plenty of havoc on our young people who might be future Mark Cubans and Sara Blakelys (Spanx founder). Louisiana isn’t the only state where local regulators cracked down on kids with lemonade stands. Comedian Jerry Seinfeld tried to allow some kids to set up a lemonade stand in the posh Hamptons and the police shut down their “illegal” operation. The money raised was to go toward his organization that provides struggling families with clothing, gear, and services. Lemonade license crackdowns are just one example of how regulators keep individuals from working by imposing licensing requirements. Many occupational licenses are onerous because they place unnecessary hurdles in the way of low-skilled and –typically- low-income workers. Requirements vary by state, industry, and occupation, but generally force individuals to pursue hundreds – sometimes thousands- of hours of training and pay thousands of dollars in fees to receive certification. This raises at least two issues: the trainings aren’t germane to what workers do every day. The cost and time requirements can be insurmountable if you don’t have the funds or can’t afford to take time off to pursue the trainings. 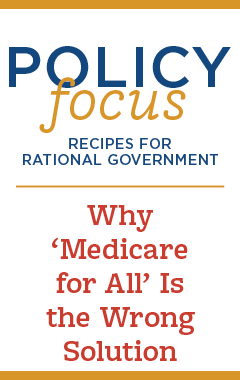 It’s a catch-22 that yanks opportunity out of the hands of those who need it. 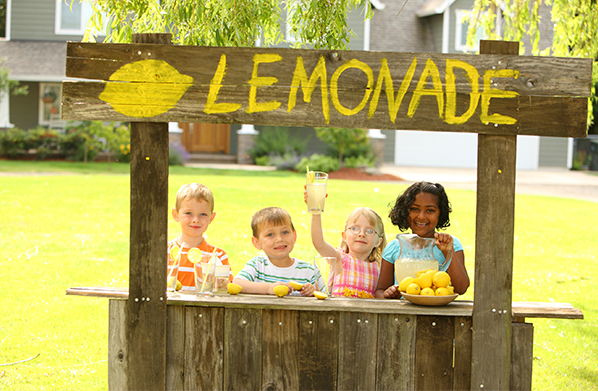 Let's be thankful these Louisiana kids have new protections for their lemonade stands, but occupational licenses across the country need to be scaled back for adult entrepreneurs, too.